Thank You to Our Four Winds Volunteers! Children learn science by doing science: observing the world around them, asking questions, and using all their senses to explore and investigate. 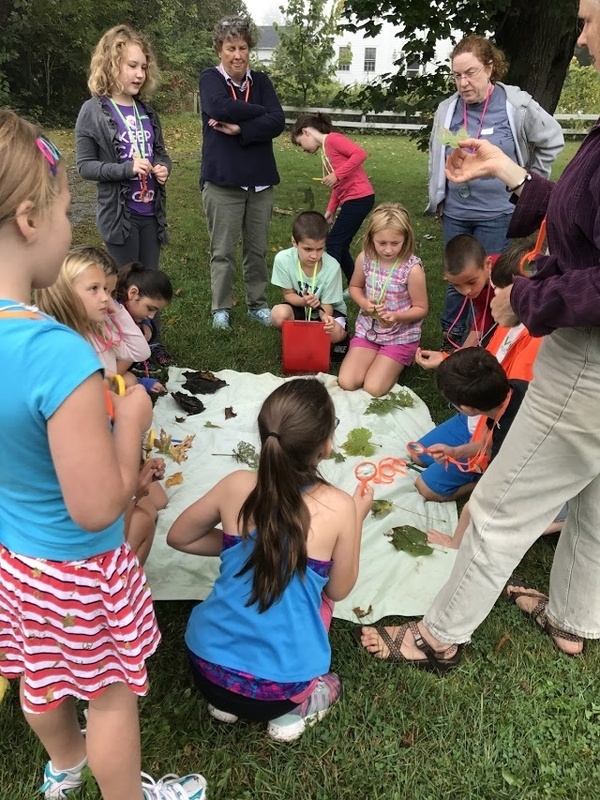 The lower school science program is just now culminating a second year of partnership with The Four Winds Nature Institute. Last year students in grades K-4 learned about patterns within nature, insects, animal tracks, ferns, and more. This year we focused on ecosystems. Throughout our study, students have considered how energy flows from sun to plants to animals, how plants and animals are linked in a food web, and how matter cycles through organisms and back into the soil. This program would not be possible without the dedication and excitement from our terrific volunteers. These parents and community members have saved a little time each month to be trained and prep for lessons, and finally teach two hours with a specified grade level. We can't thank each of you enough for passing along your love and admiration for nature. Program coordinator Deb Robinson has diligently communicated between volunteers and classroom teachers to assure smooth and purposeful lessons each month. Along her side we had Rebecca Hanissian, Deidra Willies, Amelia Botsford, and Sarah Crockett teaching the Kinder kids. Bob Stein and Richard Slosberg led the first grade group through the year, and in second grade we had Georgina Voegele, Erika Kassop-Breton, and Eric Furstenberg. Third grade was taught by Deb Robinson, Cathie Hopper, and Julie Ohara. Then in fourth grade Peg Ackerson and Judy Harvey led lessons. Next year we hope to have many of the same volunteers, but will also welcome the new with open arms. Our focused theme is going to be Earth as we look at energy moving from sunlight and shadow, to rocks and minerals. Please contact Trisha Gautreau or Deb Robinson if you are interested in learning more about becoming a Four Winds Volunteer.